Essentially, when you move beyond simply surviving and handling your daily business, you should set aside some time regularly to sharpen the saw–sharpen the tools for the trade. It helps us become better at our daily duties because we become stronger and more efficient. For moms, this looks like a number of things we do on a regular basis. Getting plenty of sleep and exercising, knowing that by taking care of our bodies, we have more energy to care for our families, are some ways that we sharpen the saw. 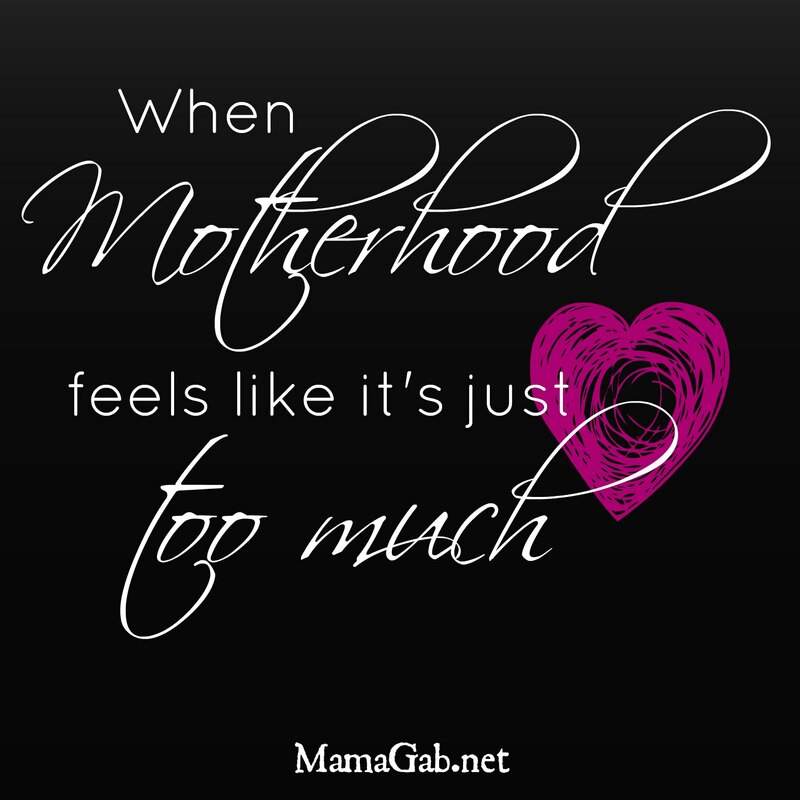 Reading and constantly learning about our full time jobs, being moms, is yet another. Each summer, as a teacher, when I wasn’t at a workshop, a conference or taking graduate classes, I would tackle summer reading projects. I would read great literature, classic books that I had never read before. I would read books on classroom management, trying to figure out what had gone wrong and right the year before so that I could learn from my mistakes. I wanted to be a lifelong learner. I am a lifelong learner. I’ve taken that approach with motherhood too, and I love to read books that help me in my daily job. This summer, I have picked just a handful of books to read that will help me in different areas of my job as a homeschooler and a follower of Christ. I’ve read so many books over the years on homemaking and frugal living. Lately, I have a desire to read more about homeschooling and to grow in my grasp of theology and God’s word. You’ll notice that my list is super short! I struggle to make enough time to read, especially on top of sticking with my Bible reading too. I know better than to be too ambitious, so I’ve limited it to just a few books, no more than 2 per month. That really is my book shelf. Can you tell I love classic literature? Disclosure: I’ve added amazon links to the following items. You’re in no way obligated to use these links to purchase the books, but when you do, I receive a small portion of the purchase, so thank you for supporting this website! Her maiden name speaks volumes–she is the daughter of Francis & Edith Schaeffer. She takes the Charlotte Mason approach to homeschooling, which is something I have wanted to read more about. We currently homeschool using the Classical method, but I’ve heard that the two methods can work really well together. I’ve liked everything I’ve read about Charlotte Mason’s views on education. A lot of people ask me about our homeschooling curriculum. Here’s a link to what we used for Kindergarten and what we do for preschool (learn through play). I was on a quest for a good book on theology and after much searching, I decided on this one at the recommendation of this post from Tim Challies. “Life changing” is a pretty convincing phrase, especially from someone who reviews books constantly. I’ve been swimming in motherhood for so long that I feel like I’m getting a little rusty, intellectually speaking. It’s been many years since I’ve read Piper’s Desiring God. I’ve been intrigued by Rosaria Butterfield since I watched an in-depth interview over a year ago, and I put her book on my mental list of books to read. This is the same author whose presence was highly protested by students at Wheaton recently because of her controversial testimony of leaving homosexuality. This is where I’m stumped. The above books will definitely be enjoyable, but I’d love to have some suggestions on a good light fiction book to read this summer. *Update! I’ve decided to read Rebecca as my fiction book this summer. In fact, I read it in just a matter of days and I’m already finished with it! It’s just that good. If I finish the other books on my list, I may also read The Book Thief and/or Chasing Mona Lisa: A Novel. Other Suggestions: Seasons of a Mother’s Heart, 2nd edition (for the homeschooling mom), Desperate: Hope for the Mom Who Needs to Breathe , Don’t Waste Your Life , Calm My Anxious Heart: A Woman’s Guide to Finding Contentment (TH1NK Reference Collection), and Keep a Quiet Heart are just a few of the books that I highly recommend to other Christian moms. Keri at Growing in His Glory has a vast list of books on her summer reading list, so check it out if you want some great ideas. What’s on your reading list? Have you read any of the books on my list? Want to join me? I read Butteefield’s book a summer or two ago. Wow. Interesting to get into her head. I can imagine! I’m looking forward to her book, and I don’t think it will disappoint. I’ve been wanting to read “For the Children’s Sake” and need to add it to my reading list. The Butterfield book sounds very intriguing too. I have a hard time finding good fiction too. Since I love mysteries, I’d recommend anything by Agatha Christie or Sir Arthur Conan Doyle. I used to read a TON of Agatha Christie books during the summers, and I’ve already worked my way through every Sherlock ever written. See, great minds think alike, Keri! For the Children’s Sake is a great book. I also loved Desperate! I am lucky to get 2 books a month read too. As far as fiction ideas, I am a huge Amish fiction fan, Shelly Shephard Gray is one of my favorites. Thanks for the author suggestion! I’m doing to look into that one. Gosh, just thinking about a reading list bogs me down. I’d love to chisel out just 20 minutes a day for this. Will definitely be looking into your picks, Gabby! Thanks so much for putting this together. Oh, I love to read–if I’m not in the middle of one or two good books, I’m a pretty sad girl. One of my sisters read Rebecca years ago but I never did. I’ve had it on my mental list for a while but it sounds like I really need to get to it. The Michael Horton one sounds good and a friend read Secret Thoughts of an Unlikely Convert last year and recommended it. So many books to read. I need to make more time. I’m in the middle of Start, Surprised by Motherhood, and Praying for Boys. I’ve wanted to read Surprised by Motherhood too. I haven’t heard of the other two. Who wrote Start? I love reading about the summer reading lists of others. Currently on my list are: Beautiful on the Mountain by Jeannie Light; Being OK with where You are by Stacey Thacker; Finding Spiritual Whitespace by Bonnie Gray; Restless by Jennie Allen. I have more but I am going to begin with these. May you have a wonderful summer! Those all sound amazing! Thanks for sharing your reading list with us too. The kids and I have all signed up to participate in the Summer Reading program at our library and we’ve already gotten excited. I don’t have a specific reading list for this summer, but I’d love finish up T. D. Jakes book that I got started on a few months ago. That sounds great! It’s amazing how much we can put our own reading on the back burner now that we’re moms. I just finished a book that I started in January! Those all sound like great suggestions! Thanks for sharing your reading list with us.